Brittany is a firm believer in interacting with clients face-to-face whenever possible as she handles litigation and regulatory work. Her practice focuses on product liability, product safety, premises liability, toxic tort and commercial litigation in the manufacturing, automotive and agribusiness industries. 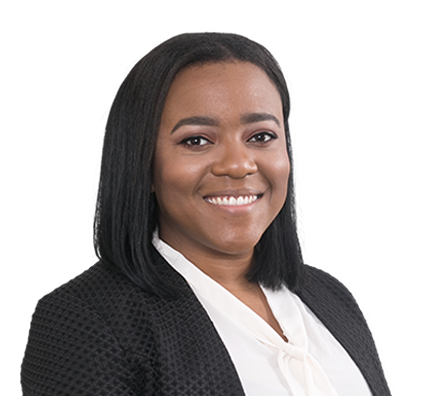 Specifically, Brittany defends product liability cases involving automotive suppliers and product manufacturers in wrongful death and catastrophic injury cases nationwide. She manages all phases of the litigation process in asbestos exposure claims. In addition, Brittany defends clients in state and federal court matters involving alleged exposure to carcinogenic materials, explosions, personal injury and employee embezzlement. In her regulatory work, Brittany addresses state, federal and international product safety regulations, as well as industry and consensus standards. She guides clients in all aspects of product safety, including product recalls and corrective actions; product testing; product warning analysis; and product warnings certifications, warranties and instructions. She advises clients on reporting requirements to the Consumer Product Safety Commission, Health Canada and several EU countries. Not admitted in the District of Columbia; practice limited pursuant to D.C. App. R. 49(c)(8), with supervision by Brian Waagner, member of the District of Columbia Bar. When a national restaurant chain did not respond quickly enough to a lawsuit, the court entered a default judgment of $5 million. The restaurant chain needed a determined team of attorneys to persuade the court to set aside the judgment. With no time to lose, Brittany wrote the motion to set aside the default judgment and the brief requesting that the court grant the motion based on excusable neglect. The team argued the issue and convinced the court to set aside the $5 million judgment. Persuaded court to set aside order of default against mine owner/operator entered in lien foreclosure action. Secured voluntary dismissals for medical center and provider of healthcare services in wrongful death actions. Supervised and managed the coordinated defense of hundreds of toxic tort matters around the country for a Fortune 500 company. Counseled client on nationwide recall of a pool motor following reports of possible electrical hazard. Trained legal and product quality/compliance departments on matters related to product safety, warnings and products liability. A native of St. Louis, Brittany enjoys exploring Washington and acquainting herself with the city’s restaurants, music venues and famous monuments. Brittany offers her time to help youths pursue their musical interests. She serves on the board of directors and volunteers with L.I.F.E. Cultural and Performing Arts, a nonprofit organization that supports kids who are interested in pursuing music. Whether the young person’s interest is singing in choir, playing an instrument or music therapy, the organization can help. As a classical bass player, Brittany understands the importance of music in a young person’s life and enjoys giving children a chance to pursue a creative outlet through music.